One of the primary tourism issues facing the High Country is lack of awareness. To address this issue, Tourism North East is developing strong brands to represent each of the region’s product pillars that will lead efforts to drive mass market destination awareness. This brand strategy kicked off with the launch of the Ride High Country brand at the end of 2016, and this Spring will continue with the launch of two new brands – Walk High Country and Feast High Country – to drive the regional pillars of Nature and Food & Drinks. The Walk High Country brand launches in November with a campaign running until April next year and includes a new Walk High Country site – www.walkhighcountry.com.au – showcasing 100 plus of the region’s best hikes, bushwalks and village strolls.  The campaign aims to position the High Country as a ‘must-walk’ destination via an integrated and targeted advertising campaign focused on the Melbourne metropolitan market. 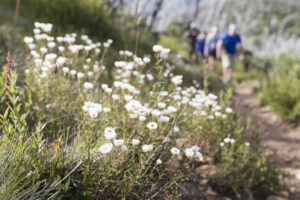 In tandem with the Walk High Country brand development, comprehensive research into the regional Walk offering is also underway to underpin and inform the brand marketing strategy and identify walking tourism consumer segments, visitor yield potential as well as trends and demand drivers. The third new tourism product pillar brand – Feast High Country – is also being unveiled this year after extensive consultation with regional leaders in the food and drinks industry sector. A distinctive, contemporary new brand has been developed along with a new site – www.feasthighcountry.com.au – which unifies this diverse regional tourism sector that includes winery cellar doors, restaurants, cafes, breweries, distilleries, cooking schools, farm gates and the many other producers integral to the industry. The Feast brand can be applied to all products and tourism experiences within this pillar – across food, wine, craft beer, spirits as well as producers. In line with the new campaign, High Country Harvest will be rebranded in 2019, with the Feast High Country Festival taking place region-wide from 3 to 19 May next year.